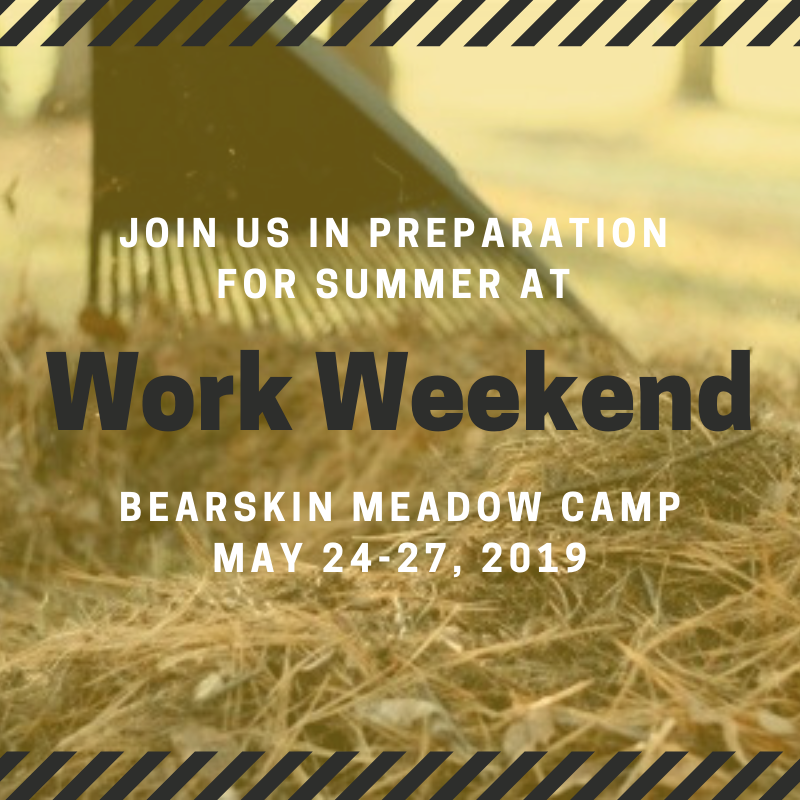 Join the DYF Team at Bearskin Meadow Camp on Memorial Day weekend, May 24-27, 2019, for Work Weekend! We need volunteers of all ages to clean, rake, construct building projects, and help us prepare for the start of our summer camp season. The weekend will not be all work– we will have an opening campfire and all meals will be provided. RSVP today!